Two ‘Russian guards’ have been carefully watching over US President Donald Trump’s Hollywood Walk of Fame star, after it’s recent destruction. The ‘Soviets’ were initially spotted on Wednesday, (July 25) after the star was shattered for a second time. The perpetrator, most recently, was Austin Clay, who turned himself in to authorities and is now facing felony vandalism charges. People who witnessed the satirical ‘Russian’ stars were quick to share their amusement on Twitter. 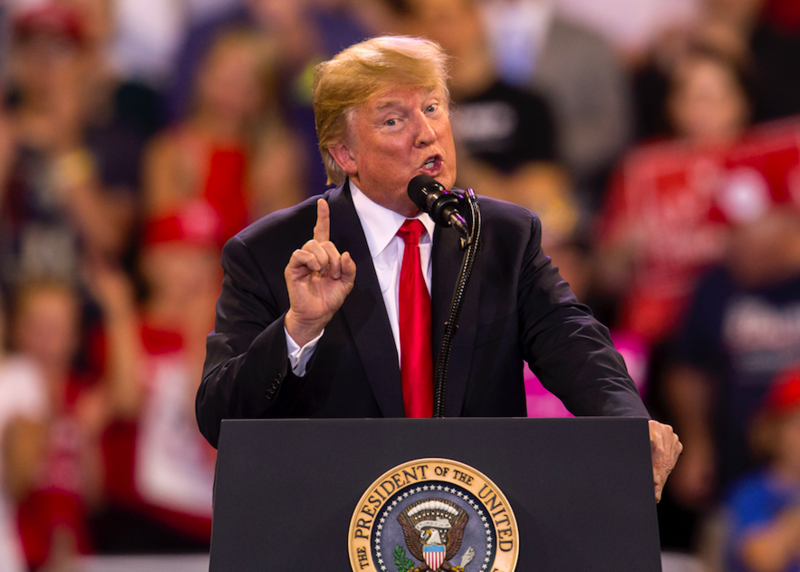 Comedian Jimmy Kimmel, who’s made it pretty well known he has a strong disliking for Trump, even made reference to it on his show on Thursday, (July 26). That’s what comrades do for other comrades. 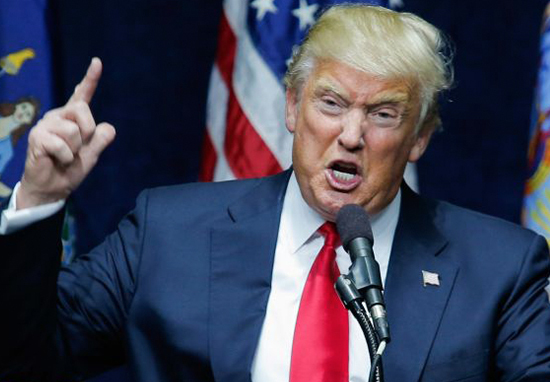 Special Counsel Robert Mueller has been determined in his quest to probe Trump about alleged Russian interference in the 2016 election, and most recently, the US President was criticised over his refusal to point fingers towards Russian President, Vladimir Putin at the Helsinki summit. I’ve got to ask the question though, will Trump actually understand the satire? I mean, literally understand the irony of the situation? I guess we’ll see if he tweets anything in the next few days – ALL IN CAPS, OF COURSE. The Los Angeles Police Department (LAPD) had previously been called – back in 2016 – to investigate, after Donald Trump’s Hollywood Walk of Fame star was first destroyed with a pickaxe. According to the Daily Star, James Otis used a sledgehammer and pickaxe to deface the star about a week before Trump was elected as President. Otis was spared jail after he pleaded no contest to a felony charge of vandalism, but was sentenced to three years probation and 20 days of community service. He was also ordered to pay $4,400 (£3,300) for the damage he caused. Otis revealed how his original plan was to steal the star – not destroy it – and then sell it to make money, which he could then give to the 11 women who’ve said they were groped by the 45th president. Errrrm, Otis, if you are planning on doing something again – please remember you are on probation! 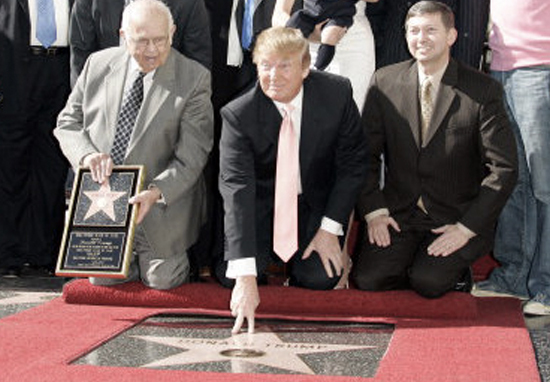 The star was added to the Hollywood Walk of Fame back in 2007, for Trump’s work on the popular reality show The Apprentice.